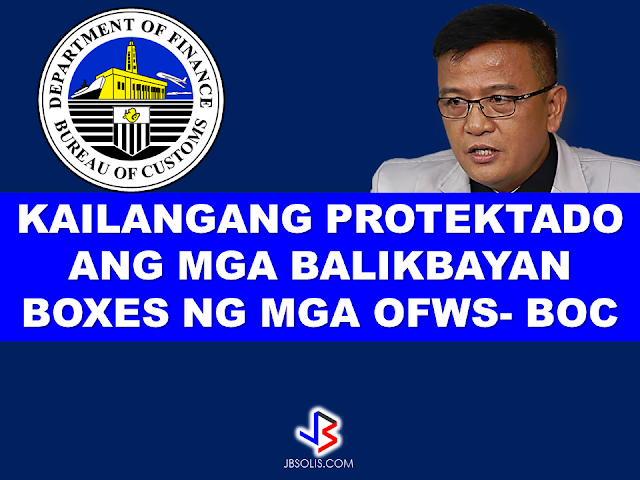 The Bureau of Customs (BOC) clarifies that this privilege is extended to "qualified Filipinos living abroad," which are overseas Filipino workers (OFW), students, tourist visa holders, Filipinos with dual citizenship, and Filipinos who have legal overseas residency status . 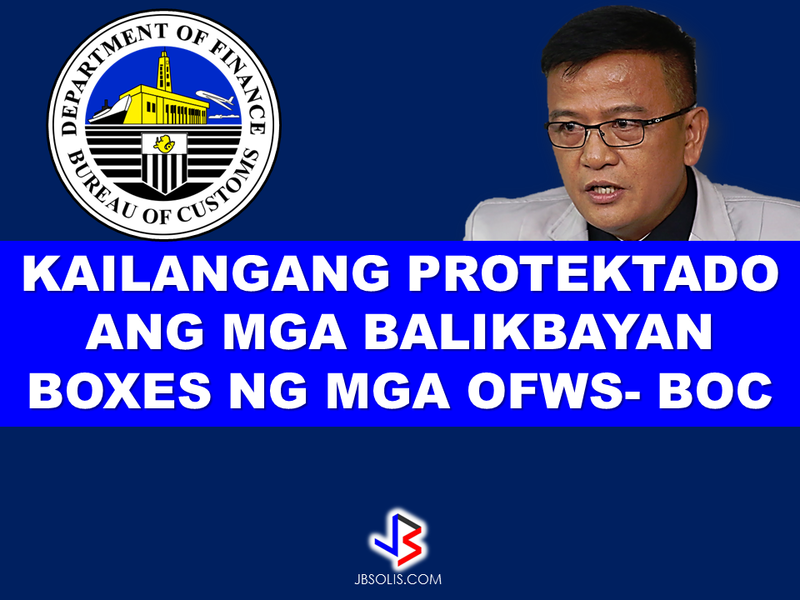 However, the balikbayan box privileges can be vulnerable for use by illegal smugglers and , thus, the BOC is formulating a measure to protect the balikbayan boxes and prevent these things from happening. 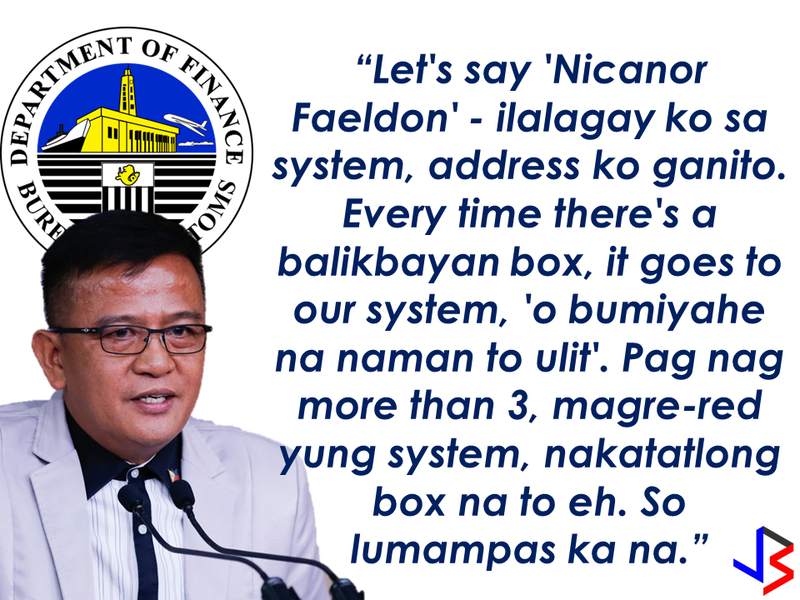 Here is the conversation with BOC Commissioner Nicanor Faeldon with Bloomberg Philippines. "We are now devising a system that monitors movement of names and addresses. 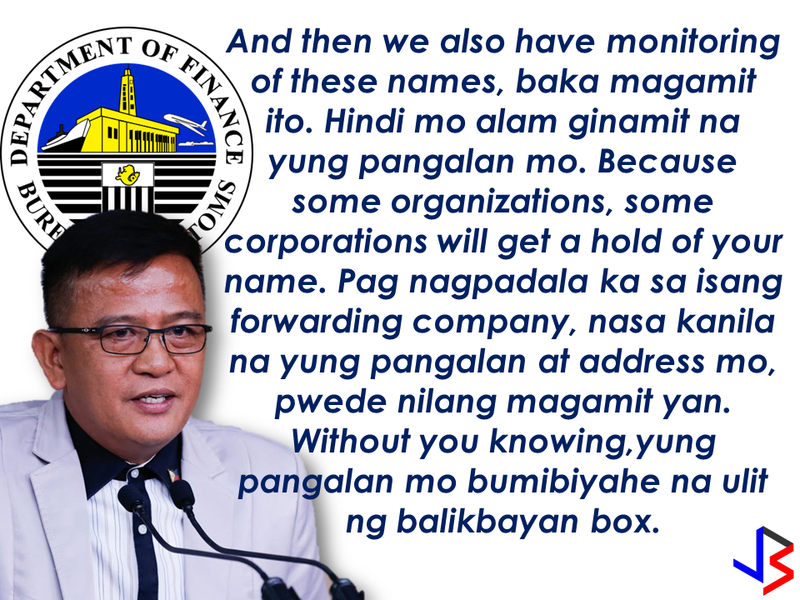 So we have to really coordinate with the DTI who's really the one regulating these companies, it's not the Bureau of Customs. Their accreditation is with the DTI. 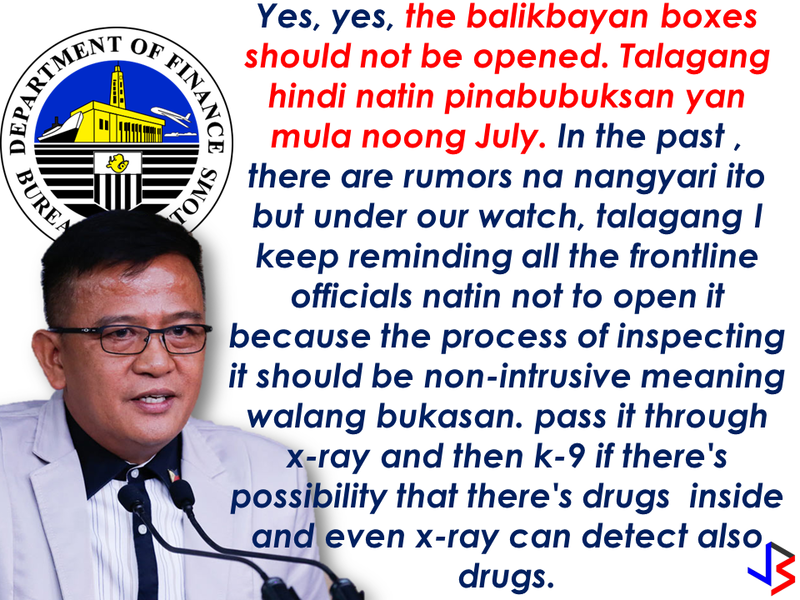 [Bloomberg] But inspections on balikbayan boxes will still be done the same way with x-rays to guard against contraband, for example? Of course, that's our mandate-- make sure that walang entry of prohibited commodities in the country. 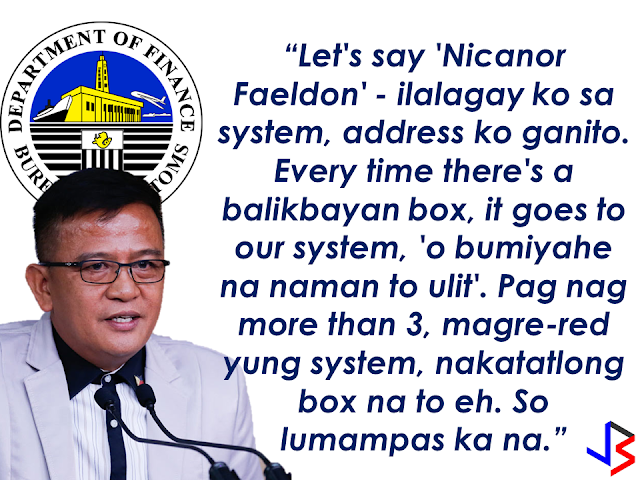 But when there's no reason to open it we will not open it. [Bloomberg] Many of your clients are businessmen who rely on the BOC to handle their shipments for their supplies, for example,but they perceive this agency as corrupt - what's your commitment to them and would you require anything from their end to help in this anti-corruption drive? 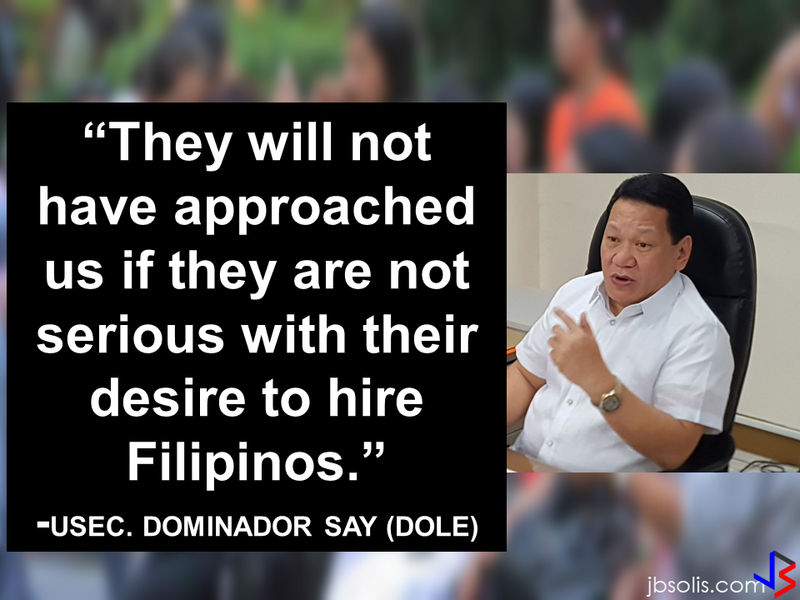 First, I'm not threatening the importers. I'm very serious about this. By the end of the year, all those I've researched, because we have no record. 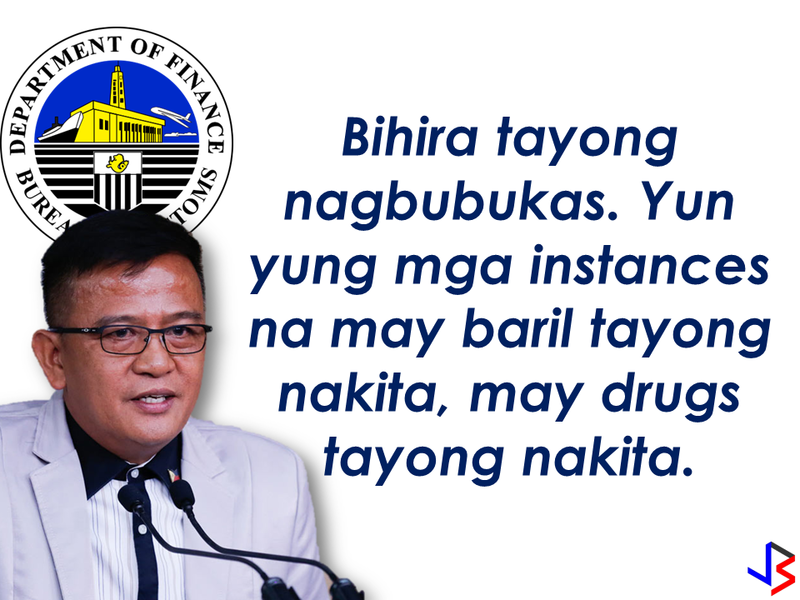 When I assumed [BOC office], I asked for the record of offenders, wala hong record eh, so I have to go back manually to our records on who have committed illicit trade in the past. I'll be cancelling their import permits. Publish the name of the company and the names. You cannot go back. 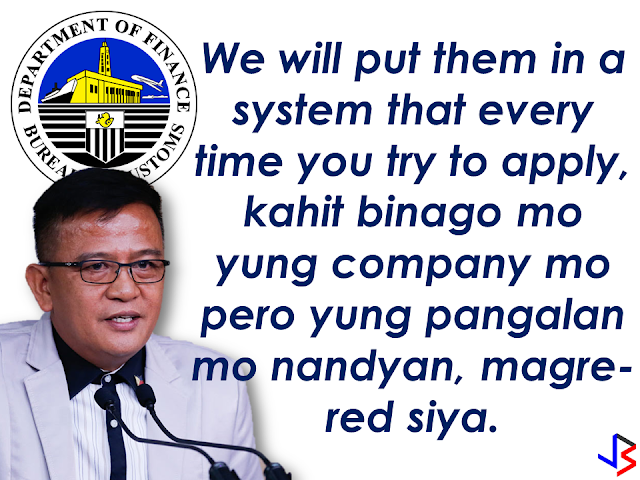 You have to really prove that those records we have here are not true, are not intentional acts on your part to defraud the government of tariff, so we'll really make it very hard for you to go back to this industry. Anyway we have around 11,000 accredited importers. We do not need 11,000. 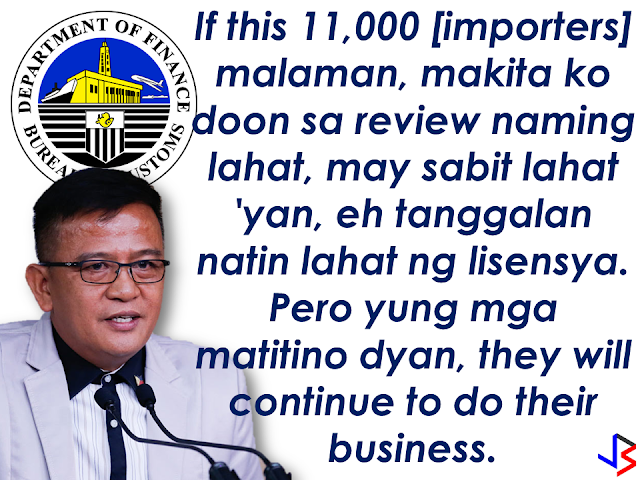 In fact we do not have 11,000 import commodities. 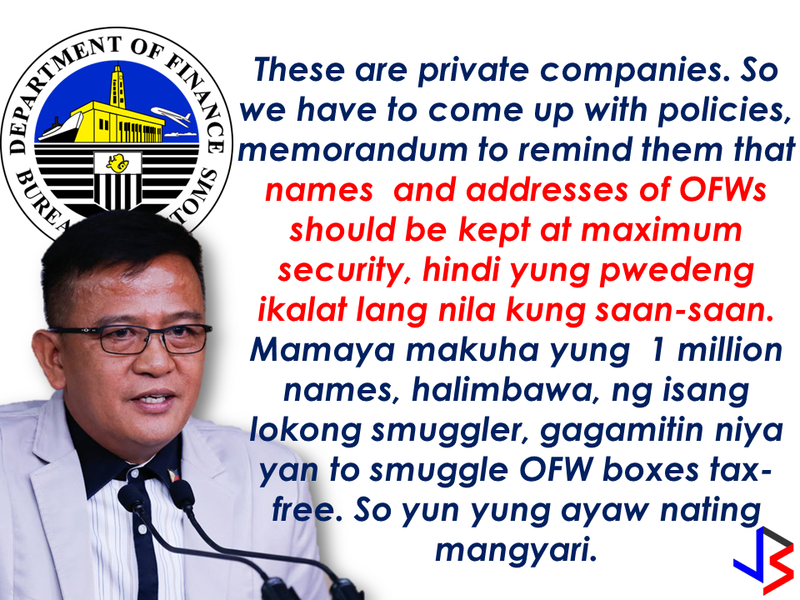 We would like to invite more importers to come but we need an honest importer.